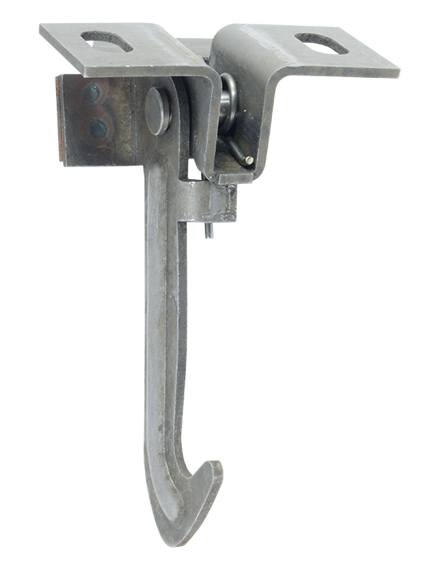 Our first product for April is a hood safety latch for a 1966-1977 Ford Bronco. This OEM steel hood safety latch manufactured by Carpenter Industries is zinc coated to give it a concourse look. This product also comes complete with mounting screws. Whether it’s simple maintenance of your classic Ford Bronco or a complete frame-off restoration, we have the products you need here at the Bronco Graveyard. Our catalog of parts for Ford Broncos spans the last 50 years and contains some of the best and hardest-to-find replacement and upgrade parts all in one convenient place. If you’d like to find the parts that are right for your Early to Full-Size Ford Bronco or F-Series truck, get in touch with one of our trained experts by phone or email. It’s our mission to make sure you have the right parts for your application. And don’t forget, every month we add even more to our already impressive inventory, so keep checking back to see what we new items we have in stock!